In March, after allegations of chemical weapons use emerged, Senator Graham advocated the deployment of American soldiers to secure weapons of mass destruction (WMD) sites in Syria. Earlier this week, the South Carolinian seemed to back away from this more aggressive military option. Even though the American public is war-weary, Graham and others in Congress are right to press the Obama administration on Syria. This key Middle Eastern state is headed for state failure. The longer this two-year war drags on, the more political and security fall-out there will be for Syria, its neighbors, and the rest of the world. As one example, the United Nations is projecting that as much as half of Syria’s population will be displaced inside or outside the country by the end of this year, if current trends continue. Despite his tough talk about a chemical weapons “red line,” President Obama seems to be in no mood for war. Lindsey Graham may be right about the need for American military involvement in Syria. 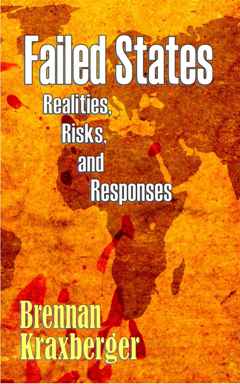 It is a frightful prospect to consider a failed state with devastating, unsecured weapons. It is far from clear, though, that intervention would arrest a slide toward state failure. The long-term record on failed state interventions is, at best, mixed. Foreign interventions can hasten state failure, too. 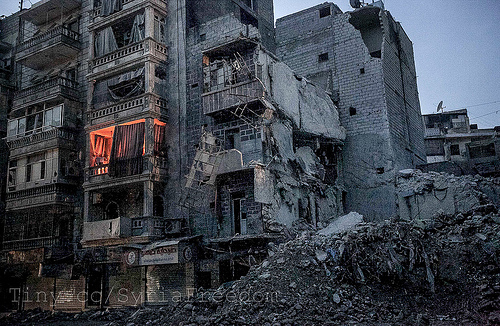 A fire provides lighting in a bombed-out apartment building in Aleppo, Syria, December 26, 2012. 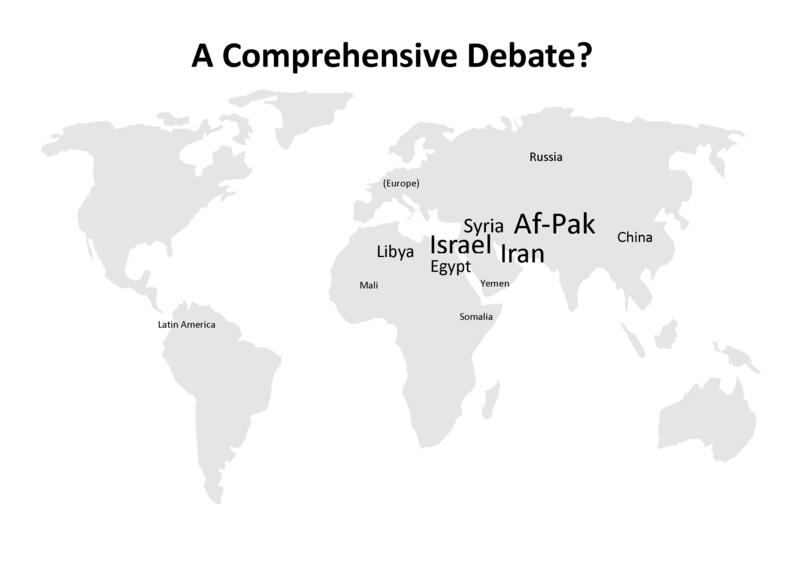 Photo credit: Freedom House (via Flickr, Creative Commons license). Syria’s diverse coalition of rebels is gradually closing in on Damascus. The experience in Aleppo, the country’s largest city, suggests that the rebels may face a drawn-out fight for the capital city. Government loyalists in Aleppo continue to control parts of the urban area. This week, the Israeli government is charging that the Assad government has “repeatedly” used chemical weapons over the last month. Sadly, intelligence gathering in Syria is very poor right now, arguably a casualty of austerity cuts in the West. The photo shows part of a poor district in the city of Aden, Yemen. An estimated 20,000 refugees inhabit this district of 50,000 people. Photo credit: European Union (via Flickr, Creative Commons license). Yemen faces many challenges, including dwindling oil and water supplies, trans-national terrorist activity, and a surging secessionist movement in the South. Twenty-three years after the northern and southern regions were united, at the end of the Cold War, southerners remain unsure about the wisdom of the unification. As the photo suggests, Yemen is also located near the volatile Horn of Africa region. 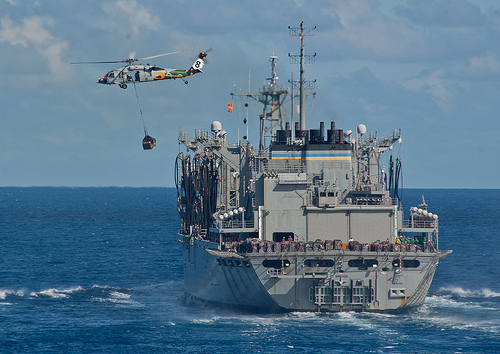 Pictured are a United States Navy supply ship and helicopter in the tense South China Sea region. Photo credit: U.S. Navy (via Flickr, Creative Commons license). Even while world attention has been focused on North Korea’s provocative bluster, the maritime disputes in East and Southeast Asia still simmer. The multi-state dispute over small islands in the South China Seas is very much ongoing. China has recently announced plans to send tourists to the Paracel Islands, which are disputed with Vietnam, but administered by Beijing. This area borders the larger Spratly Islands zone, parts of which are claimed by Brunei, China, Malaysia, the Philippines, Taiwan, and Vietnam. 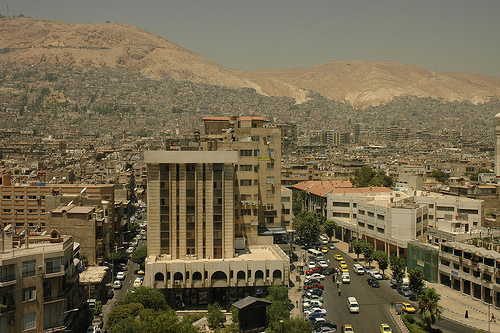 The city of Damascus in a quieter time. The photo shows part of the capital city’s skyline in 2006. Photo credit: RabunWarna (via Flickr, Creative Commons license). Two years after widespread anti-government protests began in Syria, the situation there is rapidly deteriorating. Last week’s issue of The Economist marked the deterioration with a cover story declaring “the death of a country.” Indeed, the numbers tell a story of humanitarian catastrophe: 70,000 killed; 150,000-200,000 political prisoners; 1 million refugees; and 2 million displaced within Syria. These are staggering figures for any country, but especially so for a relatively small country of 21 million people. In the three months since I last focused on the situation in Syria, this crossroads state has taken troubling steps toward state failure. In certain respects, the comparison of Syria with Somalia is warranted. Both states suffered long under authoritarian rule prior to their descent into catastrophe. 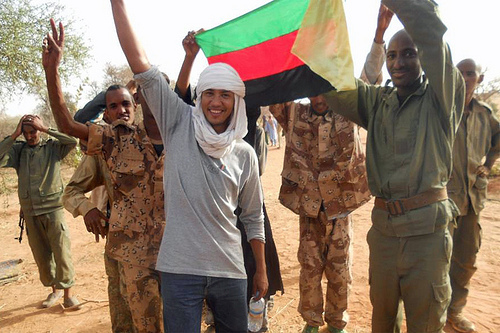 Both states have experienced fragmented civil wars, with rival anti-government groups targeting each other. Both states have been influenced by Islamist militants. Both states have significantly destabilized neighboring countries. Syria, though, is not Somalia. And Syria is not likely to become another Somalia anytime soon. The fundamental breakdown in this comparison is the contrasting experiences of these two places with modern statehood. Those who know Somalia best (e.g. Ken Menkhaus) argue that resistance to centralized government has been a hallmark of this part of the Horn of Africa. Despite linguistic, religious, and ethnic homogeneity, most Somalis have adamantly resisted centralized government. The lack of legitimacy accorded modern state institutions led to the failure to construct a state after independence in 1960. Decades after independence, the central government had still not established basic state institutions such as courts and an effective police service. The ineptness of the Siad Barre government (1969-1991) and the turmoil associated with the end of the Cold War led to deeper problems for Somalia in the 1990s and 2000s. Somalis are still struggling to accept some form of Westphalian-type statehood, 53 years after independence. The situation in Syria is strikingly different. Even with the deep ethnic and sectarian divides in Syria, a strong majority of Syrians embrace the concept of modern statehood. The anti-Assad forces – though divided – are struggling to capture Damascus and establish a new government for Syria. The Syrian rebels – now recognized in many foreign capitals as the rightful political representatives of the country – are seeking a rather conventional agenda with their war. So, even if Syria soon becomes a “failed state,” the prospects for rebuilding the state are at least fair. Somalia, in contrast, has never really had a functioning state, despite the fiction of world political maps and the country’s seat at the United Nations. The year 2012 was an eventful one for the world’s weak and failed states. What follows is a quick review of some key trends and highlights from the year that was. In Afghanistan, the “forgotten war” continued. A long-sought political settlement with the Taliban proved elusive as NATO and the United States prepared for a full military departure in 2014. Insider attacks by Afghan government security personnel on NATO soldiers grabbed headlines, as did continued evidence of widespread corruption and dysfunction in the Afghan government. Afghan watchers are very nervous about the post-2014 era. In 2012, Pakistan muddled along on a variety of fronts. Relations between Pakistan and the United States remained very strained, even as cooperation improved somewhat by the end of the year. Most critically, the military establishment has strengthened its position with regard to the country’s politicians. Civilian control of the military is only an aspiration at the present time, and true democracy is therefore on hold. Militant attacks on aid workers halted efforts to eradicate polio in Pakistan’s border regions. In Syria, the ruling Assad clique fought a losing effort of regime survival. If last year was a tragic year in Syria, the year ahead may be catastrophic. The United Nations warns that this key crossroads state could produce more than one-half million refugees in 2013. Intense urban warfare in Damascus and Aleppo could lead to truly awful humanitarian conditions. Mali, previously stable and democratic, suffered major setbacks in 2012. Photo credit: Magharebia (via Flickr, Creative Commons license). In three African states, Mali, the Democratic Republic of Congo (DRC), and the Central African Republic (CAR), insurgents secured or expanded zones of open defiance. Governments lost the ability to control vast portions of territory, a key marker of state failure. The troubles in the DRC, related to the M23 rebel group, were particularly noteworthy. Rwanda and Uganda again meddled in the internal affairs of their large neighbor, as they did during Africa’s World War of the 1990s and early 2000s. Despite gains in governance and economic development over the last decade, Nigeria continued to suffer the effects of a well-organized Islamist insurgency. Boko Haram does not seem to represent a mortal threat to the central government, but the Islamists’ activities are further straining religious coexistence in a deeply divided country. Finally, I close this review with some hopeful developments. In Southeast Asia, the long-mismanaged Myanmar (Burma) is moving towards political openness and engagement with the rest of the world. Though sometimes ignored due to its location between China and India, Burma is an important, resource-rich state that deserves more attention. And Burma seems to be steadily moving in a positive direction, thanks in part to a more enlightened set of autocrats. 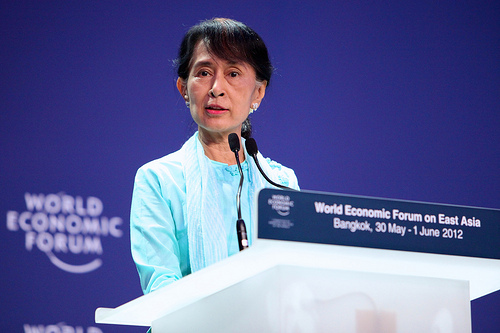 Burma’s opposition and pro-democracy leader, Aung San Suu Kyi. Photo credit: World Economic Forum (via Flickr, Creative Commons license). 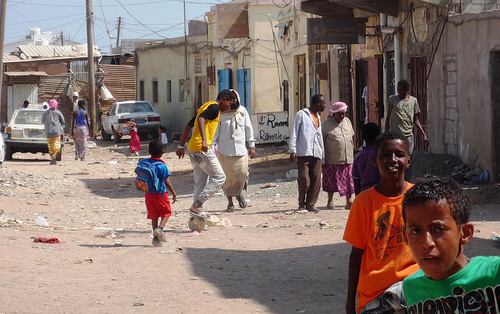 In the Horn of Africa, 2012 was a relatively good year for Somalia. The Western-financed AU mission is helping the Mogadishu-based government push back militant Islamists. Al-Shabaab lost a huge amount of territory in the last year. And, whatever the reasons, maritime piracy off Somalia declined in the last 12 months. In Latin America, a new narrative is emerging in Mexico, and perhaps all of Central America. In Latin America’s second giant, economic development and new political momentum is shifting the discourse away from drug violence, even though that violence is still stubbornly high. The Newtown, Connecticut school massacre predictably and rightly rekindled the debate about gun control in the United States. America is truly awash in guns of all kinds. By most estimates, there are about as many guns as people in the United States. And, as The Economist notes, the shockingly high level of gun violence in America cannot solely be attributed to culture alone. Sensible reforms – such as rigorous background checks, and closure of the gun show loophole – would save many lives in the years ahead. Even so, there is a compelling global case for gun rights, and the argument is particularly important for those living with tyranny and state failure. Sculpture by Gustavo Poyet at the Victoria and Albert Waterfront, Cape Town, South Africa. Photo credit: Joseph A. Ferris III (via Flickr, Creative Commons license). There are rare times in human history where armed revolution is the only available option to stop unchecked tyranny. Though it is nice to wish for the universal success of non-violent protest, some despots can only be stopped with force. In some countries, it may be essential that civilians be able to access the kind of weapons that killed so many in Newtown. Those in America and other stable, democratic states too often forget that governments can be extraordinarily brutal to their own people. And this is why the subject of gun control is not black and white. Guns protect and destroy. The current situation in Syria is a sad illustration of the complexities of gun control. Whereas arms embargos and demilitarization campaigns can reduce the likelihood of widespread insecurity, a largely benevolent state is still necessary. Early in 2011, the dictator Bashar al-Assad elected to follow in the footsteps of his father and brutally crush political dissent. Even children were tortured and killed in order to silence calls for political change. What began as a peaceful reformist movement soon transitioned into an armed effort to oust the Syrian government. Absent access to sophisticated weapons, the Syrian opposition would not be where it is today. Indeed, it is now more accurate to describe the “Syrian opposition” as a parallel government, given the diplomatic recognition it has received from over half the world’s governments. Portraits of Syria’s brutal dictator, Bashir al-Assad. Photo credit: james_gordon_losangeles (via Flckr, Creative Commons license). So, though it is distasteful for many committed gun control advocates, dangerous weapons are sometimes all that stands in the way of rampaging tyrants. It is simply naïve and foolish to believe that non-violent marches will always stop repressive governments. Nor should we place too much hope in the International Criminal Court to deter all tyrants. When peaceful people power can be effective, it should be mobilized to full effect. In other cases, armed civilians of decaying and repressive states may be the only persons able and willing to check and stop extreme state-sponsored killing. In this context, America’s National Rifle Association is right to argue that some “monsters” can only be stopped with the force of guns. 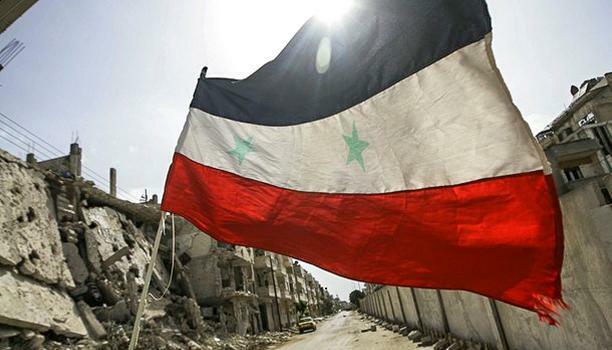 Is Syria a Failed State? A war-ravaged Homs, Syria in May 2012. Photo credit: Freedom House (Creative Commons license). The Syrian war is fundamentally a struggle for control of state institutions. The Free Syria Army is seeking to overturn the decades-long rule of the repressive Assad dynasty. The opposition is striving to take over control of the Syrian state, not to undermine state institutions. Unless the civil war drags on for many more months, Syria will re-emerge as a critically weak, but not failed, state. The last sentence seems quite prescient, given the events of the last two years. Even so, the key crossroads state of the Middle East was not labeled as a failed state or a critically weak state, and for good reason. In the Rice report, and in more recent data, Syria fares well in terms of human development indicators. The country boasts an adult literacy rate of over 85 percent. Before the war, adult life expectancy was four years above the world average of 70 years. Infant mortality was comparatively low for a developing country. And Syria’s Human Development Index score was about average for its region, and much higher than most failed states. Yes, more than a year of war is beginning to exact a heavy toll on the country’s population, economy, and infrastructure. Syria will not instantly recover from this dark era. It is, however, worth recalling another post-conflict state that many wrongly called a failed state in the 1990s. In years immediately before and after the genocide of 1994, Rwanda was not a failed state. It was a state afflicted by widespread atrocities, but the country had and has relatively effective governmental institutions, and most Rwandans deem state institutions as legitimate. Just as Rwanda’s (economic) development has surprised many in the post-1994 period, post-civil war Syria could surprise many with an era of rapid reform and progress. With or without Assad, post-war Syria will have key advantages that most failed states do not have.